How Much does an Exterior Door Cost? After last week’s article about how much replacement windows cost, we’ve received a few questions asking what factors will affect your exterior door cost. If you read our article on windows, you may have already guessed that the cost of an exterior door can vary wildly depending on a variety of options. Before looking at the cost, it’s important to understand that a new exterior door can do a lot for your home: Not only can they change the entire look of your house, it can also improve energy costs and help increase the overall security of your home. Finding the right door can be a bit of a challenge, but with thousands and thousands of combinations, there’s a door out there for you! To determine your exterior door cost, you’ll want to really do your research. Two doors can look extremely similar but be thousands of dollars away in price. The material the door is made from will be a major difference maker here, but there are a few other factors we’ll go through below. The major items that are going to affect your exterior door cost the most are going to be size, hardware, material, and installation costs. It can all get a little overwhelming, but remember, you’re not in this alone – visit our showroom and speak with our door experts as they’ll be able to give you the best answer to any of your questions. The size of your door doesn’t just mean the dimensions of the door itself. The full exterior door cost can include features like sidelights and transoms. Plus, you’ll want to consider whether you’re installing a single door, double door, or some other variation. To see some common options, check out our door customization page. It will give you a good idea of what you can do visually. At Euroclad, we do a lot of custom doors, so you’re not limited by anything you see – we can pretty much do it all! Hardware options can be endless. We have almost a thousand different options for door hardware on our site alone! It’s a great place to start if you’re looking for ideas. 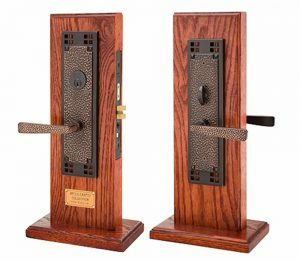 The options can range from simple, functional, and affordable pieces of hardware, to smart digital locks that make a stunning visual statement. The most important thing to consider with door hardware, is how it looks with the door you’ll be installing. What your exterior door cost will be affected by the most is the material it’s made of. There are three major types of doors: metal, wood and fibreglass. Metal doors have been around for a long time. They’re usually really affordable and provide good security. The most common issue is that they can be a little plain, but that’s not as true as it used to be. We’ve come a long way since the metal doors of the 80’s! Wood doors tend to be a little more upscale. There’s nothing quite like the look of a wood door. A wood door will cost you significantly more than a metal door, and that’s because the material can be more expensive to work with. However, wood gives you a lot of options in terms of how it will look. Wood doors will also take more upkeep than other options. Fibreglass doors are a good balance between wood and metal. It can give you the look of wood, at a more affordable price. Today’s fibreglass doors look amazing, and the durability they provide is outstanding. 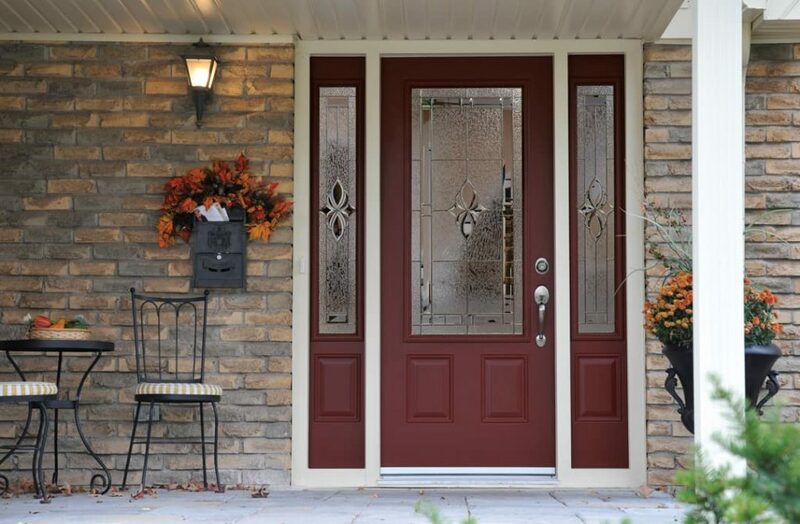 One final word on door material: glass will add to the exterior door cost as well. The cost will be affected not only by how much glass you install in and around the door, but the type of glass you use. You can view the different door options to get an idea of the variety of choice you have. Door installation costs can be a major contributor to the cost of your exterior door. Depending on the current framing, and the type of door you’re installing, these costs will probably be the hardest to estimate. The best way to determine your installation cost is to speak with one of our experts, as they’ve seen it all. They’ll give you the best advice and options they can and help point you in the right direction!